In times of emergency, call 9-1-1. 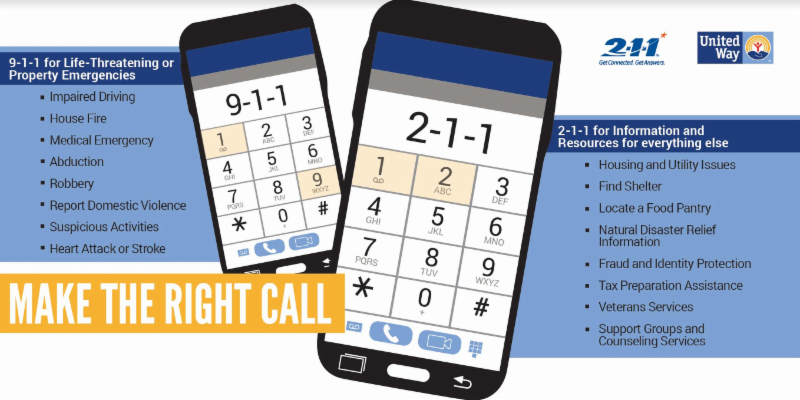 When you need help finding resources to handle other challenges life brings, dial 2-1-1. New Jersey residents have high expectations of local government and increasingly require an easy way to call attention to problems and to access information and services. As a result, the volume of non-emergency calls to 9-1-1 has exploded. 9-1-1 is not organized to support the many other non-emergency government activities that affect safety and quality of life in our local communities and 9-1-1 must be preserved for life-threatening emergencies. In New Jersey, the 2-1-1 system is the operative solution. NJ 2-1-1 assists with inquiries that are of an urgent nature but are not an emergency. 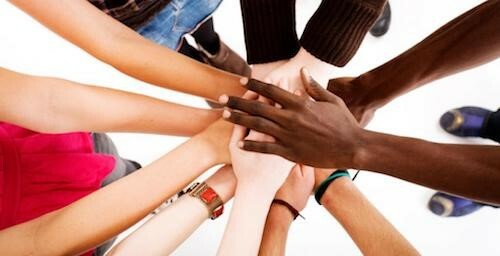 2-1-1 is the gateway to health and social services, government assistance, and local community resources. Callers can find assistance for everything from healthcare to housing, shelters to food banks, legal aid to mental health counseling. In the aftermath of a natural disaster or crisis, remember that 2-1-1 is a good source for support services and recovery assistance. 2-1-1 service is free, confidential, multilingual and always open.